Michael Luxenberg: I just had my first grandson, Gavi, which seems crazy. I have 2 married daughters, so these kind of things happen. My wife Bobbi and I have 4 daughters altogether, ages 15-26 and it’s great to still have kids in the house. I’ve been in the Fintech industry for the past 13 years and also doing some non profit work. I live and work in NJ and am happy to get together with any classmates in the NY metro area. Good to see all these class updates and very impressive that Chris Malone is keeping this up after all these years! Thank you Chris. I wonder how many classes can say the same. Wishing everyone health, success and happiness. 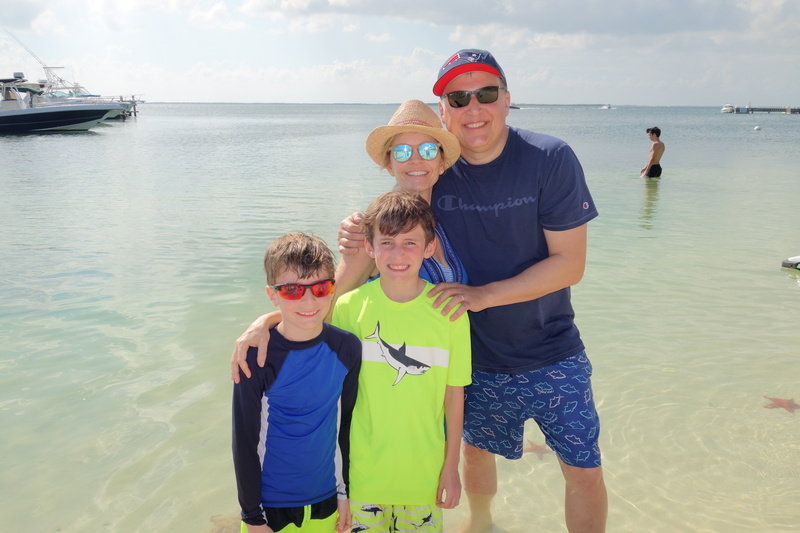 Lee Canaan: After 16 years as founder and portfolio manager of Braeburn Capital Partners in Bloomfield Hills, MI, I have returned to Texas and settled into semi-retirement in the North Dallas area. In addition to money management, over the past 18 years I have served on several public company boards, including a pre-revenue biotech, an auto parts company, a SPAC, two E&Ps, and currently serve as a director of Panhandle O&G in Oklahoma City. But I’m excited to share that I was recently asked to join the Philadelphia Energy Solutions board upon its exit from bankruptcy this summer. It is the largest refinery complex on the East Coast and has been in operation on the Schuylkill River since 1866. I can now confirm to everyone that the “smoke” you see coming from those stacks (driving between Wharton and the Philly Airport) is merely steam. It’s been gratifying to see all the positive changes in the city since we left in 1991. Philadelphia is a special place and it’s great to be back (if only for a few days at a time). 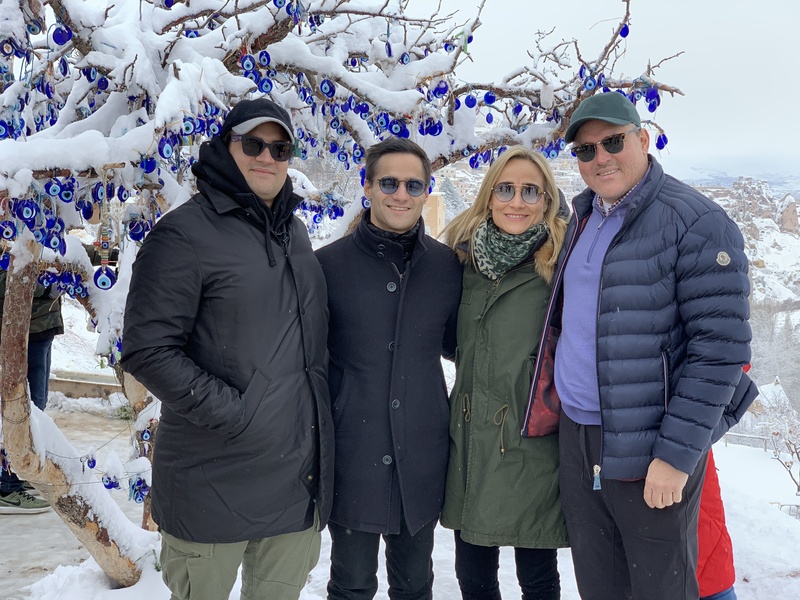 Miguel Osio: Cheers from Papadokya-Turkey!…Waooo!, 27 years ago we moved to New York after Wharton and still living here. We are blessed by our 2 boys (Miguel-27, Alejandro-23) working and living in the City on their own. Alejandro working for Google (moving in Feb to Mt. View, CA 🙁 ), and Miguel produces/reports a Spanish Financial News video for Winston Capital. Laura is doing fine; I can believe she was brave enough to join me at Wharton when she was in her early 20’s; I am still in Morgan Stanley trying to maximize happiness for my clients and their families. Chris Malone and I still go surfing in Hawaii and every 2-3 years I get together with the Latin Mafia (Paolo Pigorini, Gustavo Teller, Alfonso Aguilar, Fernando Correa, Claudio Leon, Jaime de la Barra, Federico Ramos Francia, Xavier Gomez de Olea.) This year we are going to Spain to join Joaquin Zamorano, Javier and Carlos Casanueva. Ole Ole Ole Oleee!!! Bill Feingold: Running my consulting firm Hillside Advisors (litigation support, investment writing, convertible bond ratings), teaching finance at Mercy College near my Dobbs Ferry, Ny home, and enjoying being dad to Abby and Liz and husband to Jennifer. Lorrie King: My husband, Edbert Morales, and I continue to live in NYC, however our journeys frequently take us on a visit to my mother’s homeland Hawaii. We were fortunate enough to stay at Jane Page’s home and meet up with Ben Bystom, at the U of Hawaii campus, & visit with his wonderful wife Maria in Waikiki. It was a nice relaxing respite from NYC. Workwise, for almost 4 years I’ve built SiO Beauty as a part of the Loeb.nyc incubator. It has been a delight to grow a seed of an idea as employee #1 of this team. I love growing and building startups and am embarking on wellness concepts next. Chris Malone: Thanks to Jane Page and Lorrie King, we had another terrific WG’91 Pre-Holiday dinner in NYC on November 8, 2018. A good time was had by all. Please join us in November 2019! Brett Sewell: I moved my family to the Netherlands for the 2018-2019 school year. William (14), Georgia (12) and Charlotte (10) are in international schools near The Hague having a great international experience. I’m planning to acquire a small/mid size company back in the U.S. and be CEO. I’m considering forming a Search Fund to support my search. Any Search Fund or PE folks out there who’d like to collaborate on something?